The Razor OG. The one that started it all. 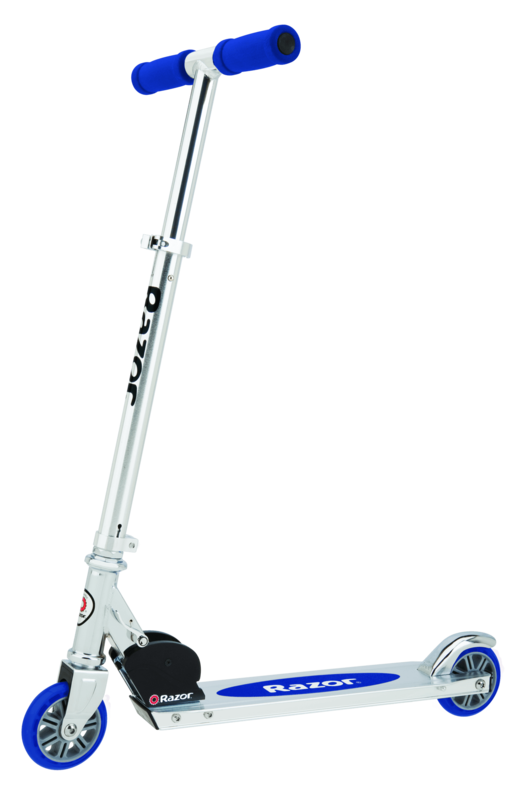 Upon its release in 2000, The Razor A kick-scooter captured the hearts and minds of kids of all ages, and has become an icon of American culture and the go-to ride for urban dwellers, celebrities, commuters, co-eds, and anyone who’s going places. Razor kicked off the new millennium by introducing the original kick-scooter, which instantly captured our imagination and catapulted the scooter into a global phenomenon. Parents love it because there is no assembly required and kids love that it comes in a variety of colors. The Razor A Scooter is the perfect scooter for your kids to get moving. one word... JABWOWThis is probably the best product to hit the stores, the box says 5 and up and I’m 17 and loving every bit of my life on this scooter. I got on my scooter and immediately fell in love. About 6 or 7 other people at my school have one and we ride every day after school, before/after football games. I love the product.